Communication is key in business. Even nowadays when new technologies mean a lot of correspondence is done electronically, research shows that the telephone is still the preferred communication tool when it comes to business. This is why it’s so important that when existing or potential customers are calling your business, that their call is answered not just efficiently but professionally too. Are your calls being answered quickly? Nothing says unprofessional more than having a caller left waiting on a ringing line. This will only frustrate the person who is calling and could be the reason they hang up and call one of your competitors instead. They have taken the time to call your business so reward them by answering the call quickly. This shows good customer service skills and means they will be willing to call your business again. As soon as the phone rings – smile! As cheesy as this may sound it really works to get your caller onside as soon as you take their call. When you smile, you send a signal to your brain and you will speak and react in a friendlier way, making your customer feel comfortable during the conversation. No matter how bad your day has been, your caller should never be made aware of it, your caller should always be your top priority. This allows your customer to know they have called the right place and doesn’t waste the customer’s time having to confirm it. It also sets the tone for a professional conversation. This will allow you to take down anything important that your caller says to you. There is no point in having a red-hot lead on the phone and you can’t remember their number to call them back. It also means you can go back over the details at the end of the conversation which shows the caller you have been paying attention and allows them to see that their call is important. Enunciate every word and avoid using language such as “cheers”, “uh-huh”, “mate”, “yeah” etc. You are not down the pub with your mates, this is business and you should always make a point of sounding friendly but professional. You should always use this when you are confirming spellings back. It is not difficult to learn and E for Echo sounds so much more professional than saying E for Elephant. You have no idea what they’re talking about! This happens a lot in busy offices, a person calls someone back and comes through to a different team member. Even if you are left utterly confused, always remain positive and professional. Tell the caller that you will find out what they need to know and will get back to them quickly. Telling a caller that you don’t know is bad customer service as it shows a lack of interest and an unwillingness to help them. If you must place a call on hold, make sure that no more than thirty seconds goes by before you let them know that they are still on hold but will be talking to someone soon. It is also worth considering putting an On-hold application in place. Music on Hold & On Hold Messages are an essential tool for any business wanting to promote good customer service. It shows professionalism and enhances the image of your business whilst at the same time adding value to incoming calls as you promote services, products and special offers; potentially generating more sales. You may well receive calls in the evening and over the weekend particularly if your callers are consumers. 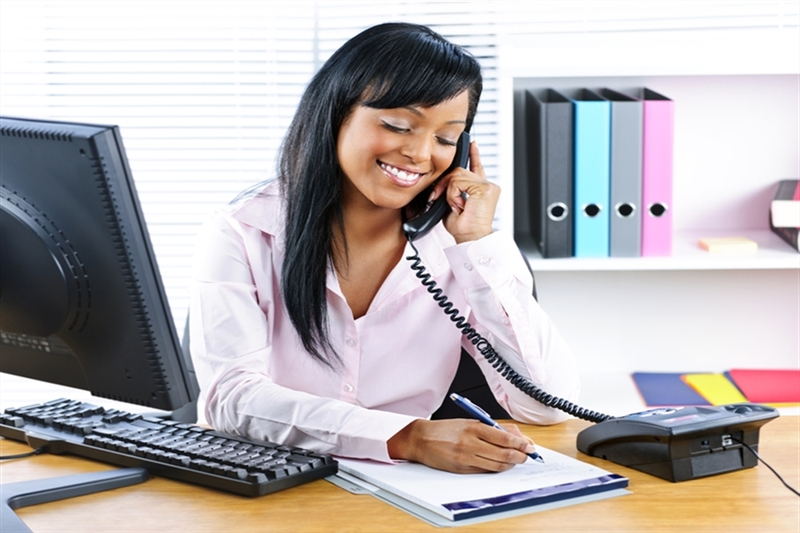 It’s important to have a professional call handling service in place to take these calls. The last thing you want to happen is your next big sale being put off by letting the phone ring or using an impersonal answerphone. Just because your office is closed doesn’t mean you are closed for business, the caller needs to understand this or they will almost certainly call the next business in your industry that bothers to pick up.